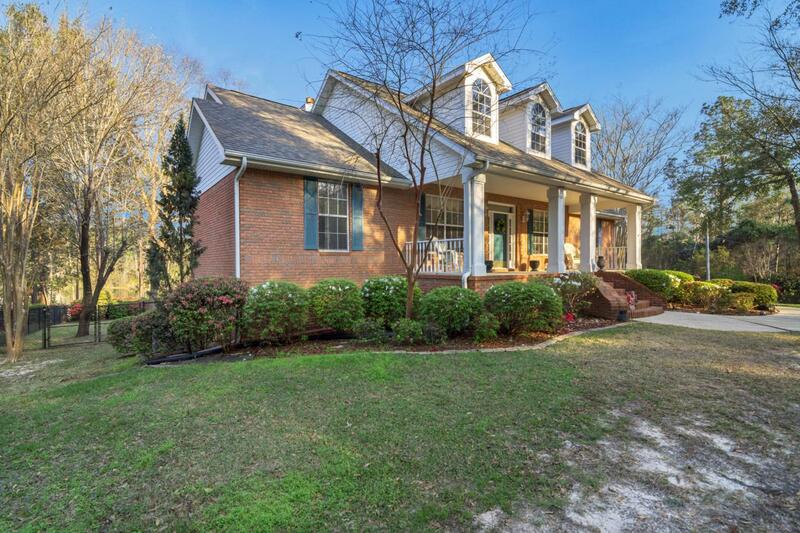 Beautiful colonial on over 2 acres with lake frontage including a babbling creek located in the center of Crestview with easy commute to all the local bases, beaches, and major shopping centers. 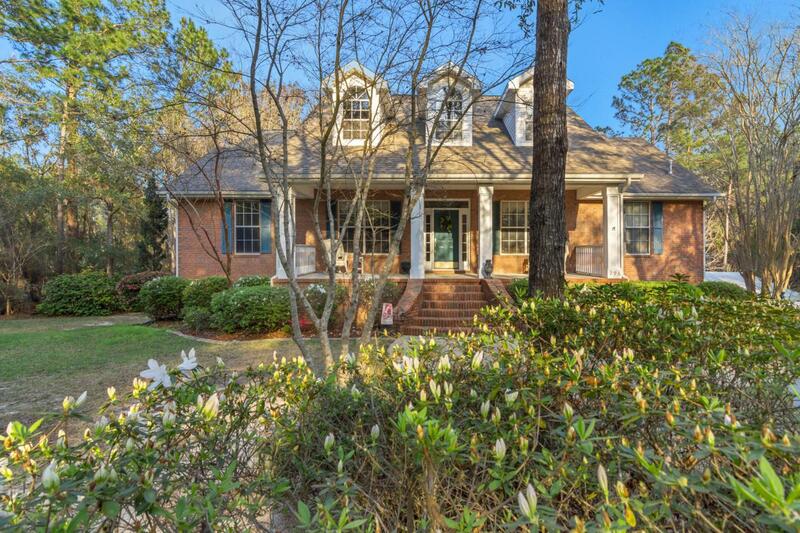 This beauty provides unique landscaping including a large number of azaleas, camellias, hydrangeas, and various blooming trees watered by an irrigation system that is fed by the lake which is ready for your fishing pole. 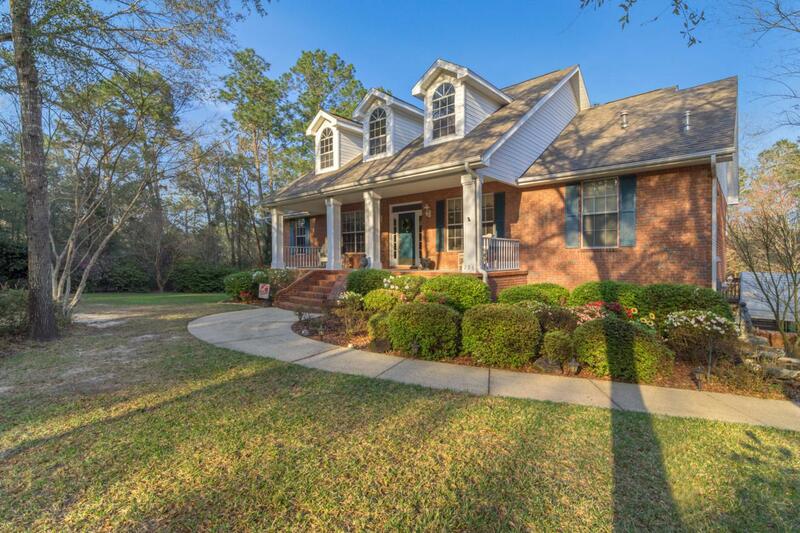 Home features gorgeous engineered wood floors, stunning views of the yard and lake, and it's very own mother-in-law suite complete with it's own kitchen, living area, bedroom, bath and interior and separate exterior entrances. There is also a great location in the walk out basement for storage and/or man cave that is cooled and heated by a minisplit unit. The oversized garage withadditional carport provides plenty of storage for all your vehicles and toys. Not to mention the 10x16 yard building supplied with power. Some other features to note are dual vanities with separate shower and tub in the master bath, large master suite with stunning views overlooking the lake, gas fireplace in the living room, and ample counter and cabinet space in the kitchen for all your cooking needs. 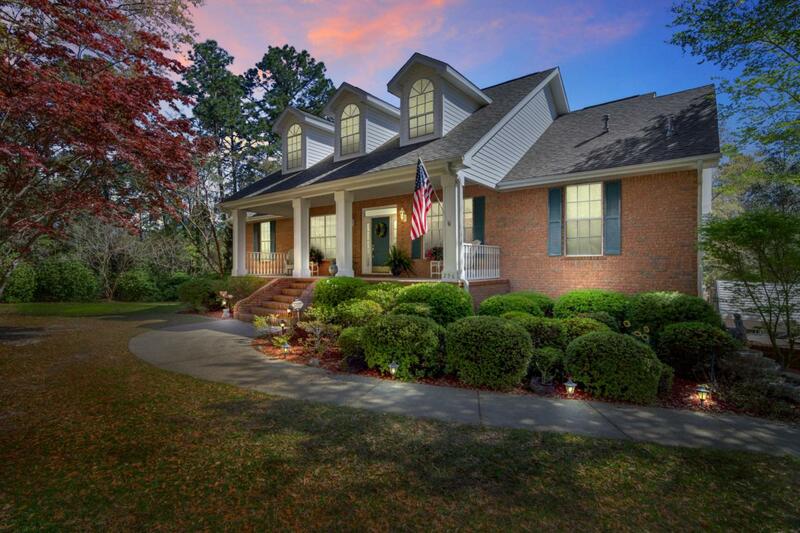 Seller completed a home inspection in March 2019 and is available per request. The roof was installed in May, 2011. The septic drain field was redone in Jan. 2012. HVAC upstairs and mini-split downstairs installed Nov. 2015. Heat pump unit downstairs was Dec. 2008.